The Longhorn’s antennae are up to three times the length of the forewing in males, but are shorter in females. 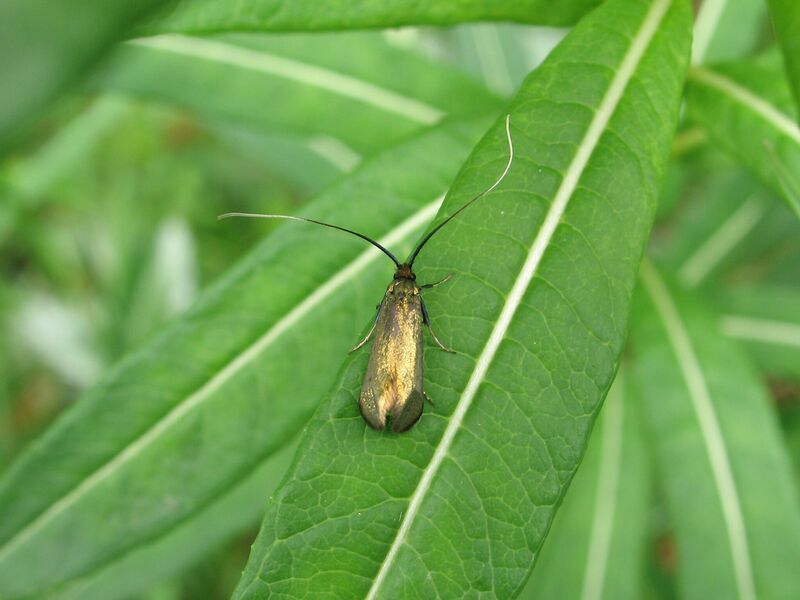 Adela raeumurella’s forewing is dark or bluish green, often with a golden or bronze tinge towards the costa. April to June, sometimes in swarms.